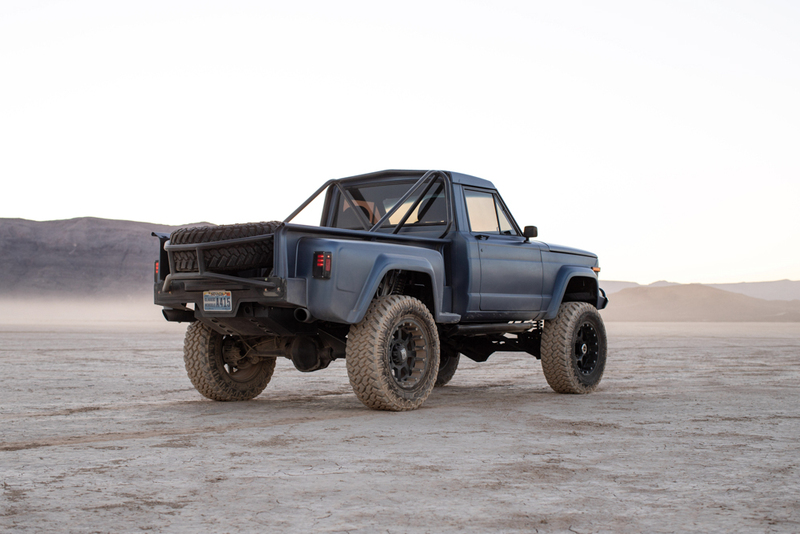 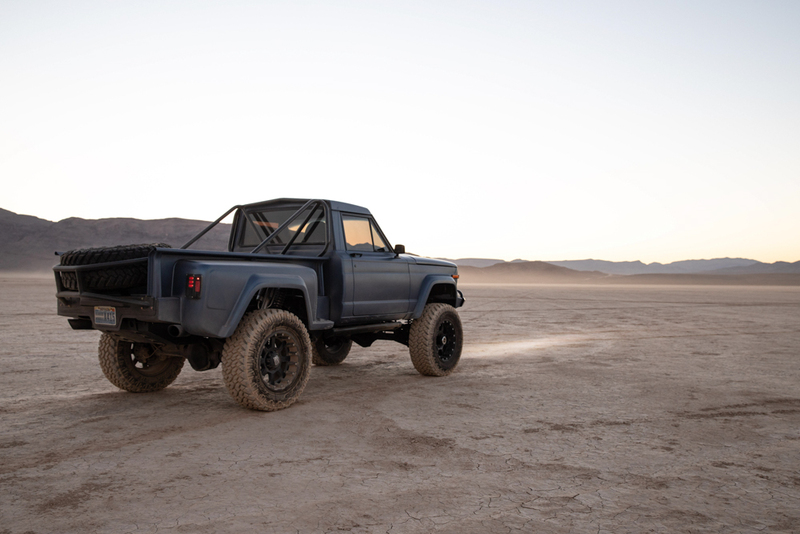 This amazing 1983 Jeep J10 truck was built by Cameron Chin at Nefarious Kustoms for owner Riley Hodson of Hodson Motorsports both located in Las Vegas, Nevada. 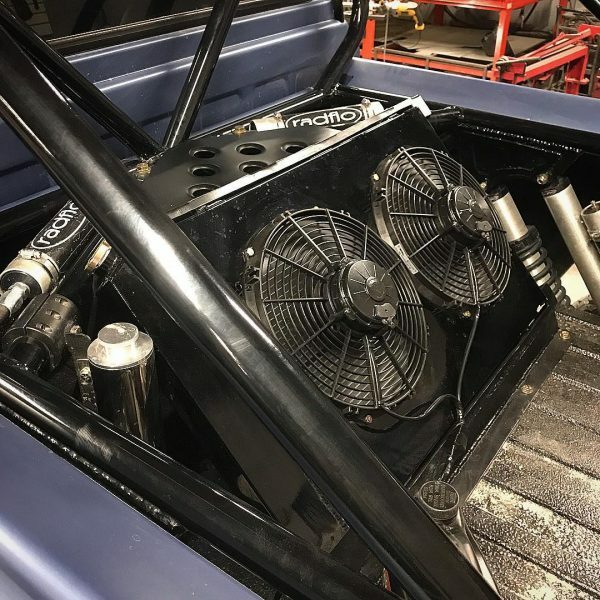 The team opted to power the Jeep with a 8.3 L V10 from a 2004 Viper SRT-10 tuned by Voodoo Racing Innovations. 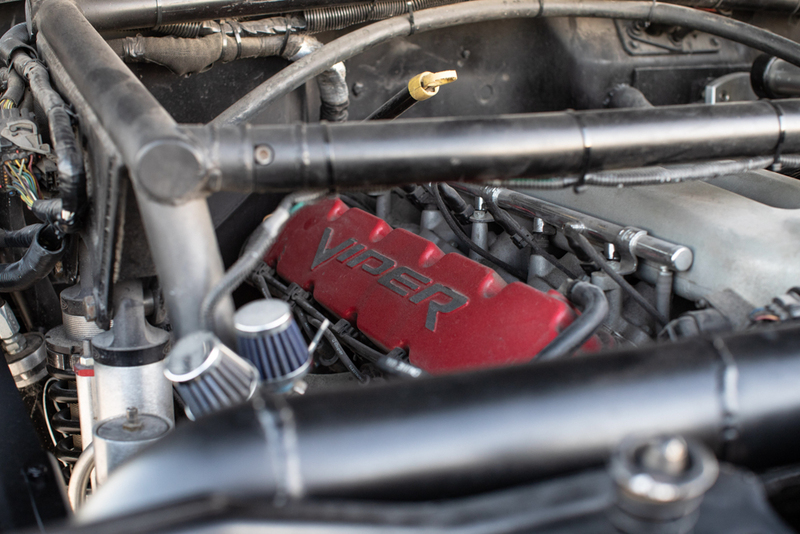 These engine make 500-510 horsepower and 525-535 lb-ft of torque from the factory. The motor sends power to all four Nitto 37-inch Mud Grapplers tires through a 48RE four-speed automatic transmission, NP273 transfer case, Ford HP Dana 60 axle in front, and Ford Sterling 10.25-inch axle in back. 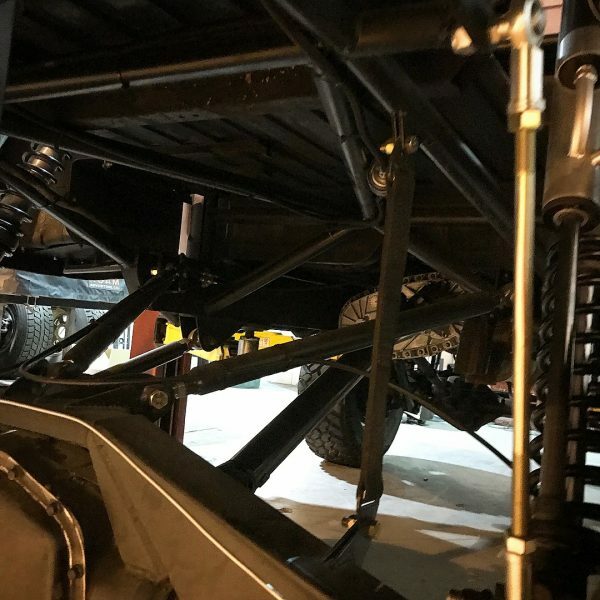 Both axles use Yukon 4.56 gears. 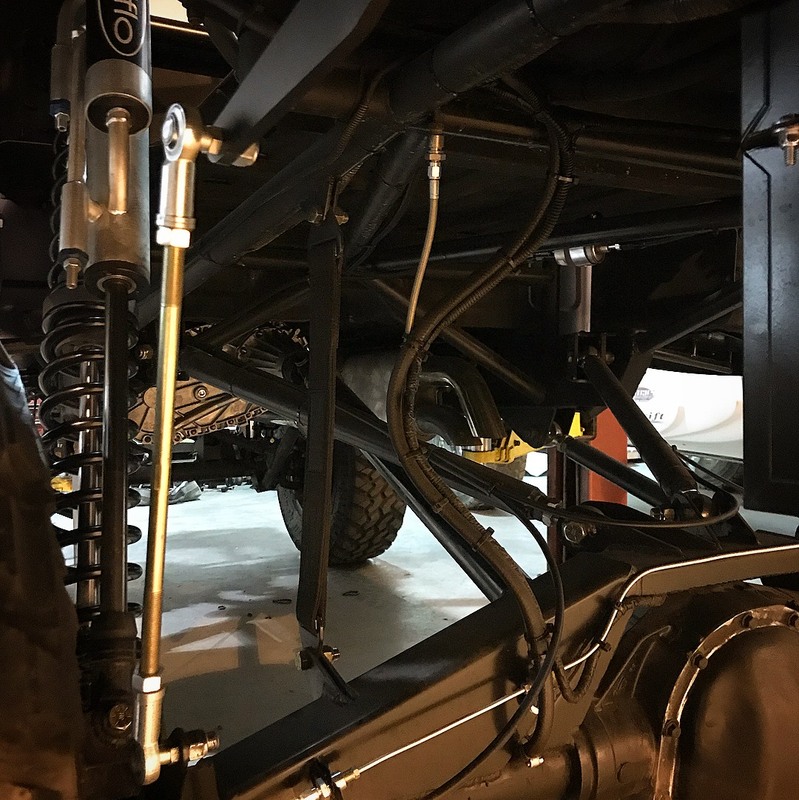 The truck rides on a custom radius arm front suspension with Swift springs, Currie Antirock sway bar, and PSC Ram assist steering with crossover. The rear uses a back-halfed tube chassis, custom triangulated 4-link, and Currie sway bar. 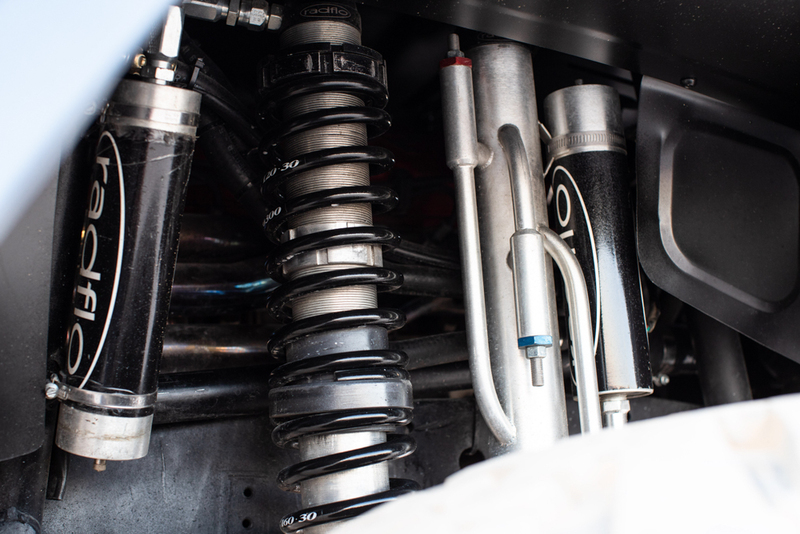 Radflow 2.5-inch coilovers with triple bypasses are used on all four corners (12-inch front/14-inch back). 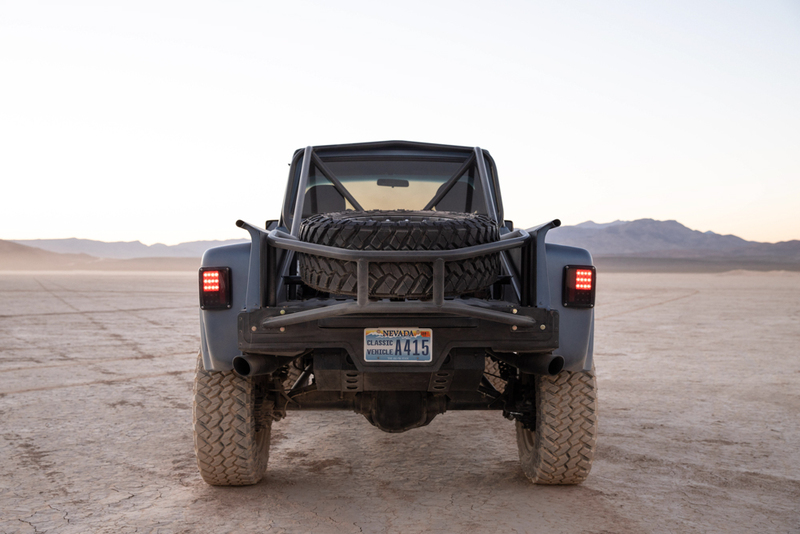 The body features step sides widened six inches, custom aluminum roll pan, Gadiator Rhino grill, and the radiator in the bed. 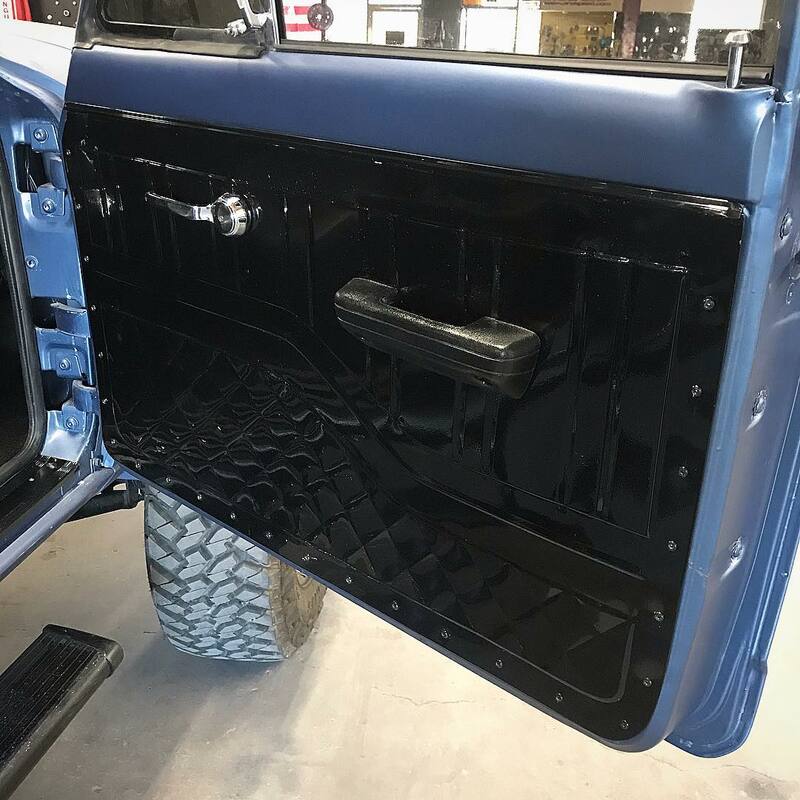 Matthew Miller coated the body in custom Opal Blue metallic paint and matte clear coat. 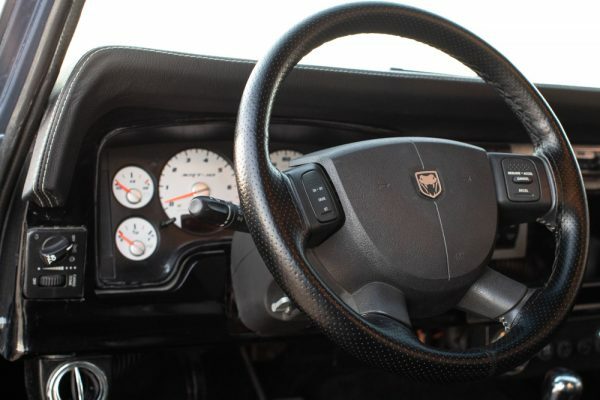 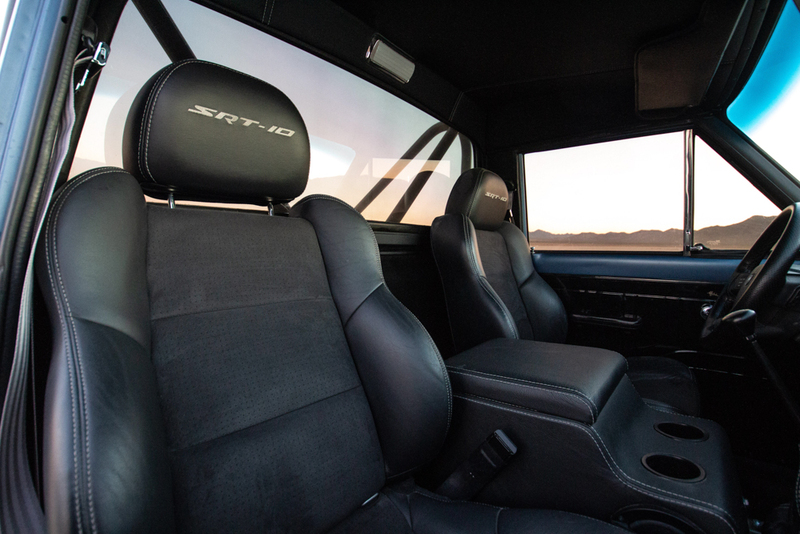 Inside the cabin you can find a Dodge SRT10 seats, steering wheel, and dash cluster inside a custom console wrapped in leather. The doors are covered in bead rolled and powder coated panels.